Numerous Bundesliga stars will be participating in the Copa America Centenario 2016 this summer, but what exactly is the American continent's biggest footballing event? bundesliga.com brings you everything you need to know about the Copa, and why you cannot afford to miss it this summer. 1) Originally called the Campeonato Sudamericano de Futbol, the Copa America, since 1993, has featured ten CONMEBOL teams plus six invited nations. 2) Usually held every four years, this year's 'Copa America Centenario' is being staged out of sync in order to coincide with the 100-year anniversary of the competition. 3) For the first time ever, the event will be staged outside of South America, with the USA the tournament hosts this time around. 4) The final will be held in the MetLife Stadium in East Rutherford, New Jersey on Sunday, 26 June. The 82,566-capacity arena is home to NFL teams the New York Jets and the New York Giants. Beyonce, Taylor Swift and Bon Jovi have played at the stadium which has also hosted the Super Bowl and WrestleMania. 6) Chile are the current holders after FC Bayern München's Arturo Vidal, Bayer 04 Leverkusen's Charles Aranguiz and Eduardo Vargas of TSG 1899 Hoffenheim inspired them to victory just one year ago. 7) It was the first time Chile, who hosted the event, had lifted the trophy. Vidal was named man-of-the-match and he scored in the decisive penalty shoot-out, while Vargas was the tournament's joint top-scorer with four goals. 8) Chile's 2015 victory was only the third time since 1993 the host nation had triumphed. As well as the three Bundesliga stars who lifted the trophy in Santiago last year, former Uruguay and Borussia Dortmund forward Ruben Sosa won on home soil in 1995 before helping BVB to the German title the following season. 10) There are four Bundesliga-based players in Jürgen Klinsmann's current USMNT squad: Pulisic is joined by Hertha Berlin's John Brooks, Borussia Mönchengladbach's Fabian Johnson and new Hamburger SV signing Bobby Wood. 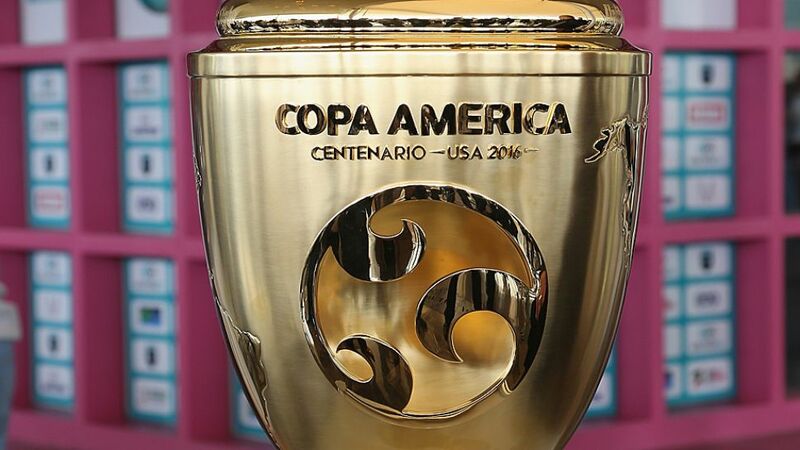 11) This is the USMNT's fourth Copa America. They featured six Germany-based players when they came third in Uruguay in 1995: Leverkusen pair Claudio Reyna and Tom Dooley, VfL Bochum 1848's Eric Wynalda, VfL Wolfsburg's Mike Lapper, FC Saarbrücken's Joe-Max Moore and FC Carl Zeiss Jena's Brian Bliss. 12) MSV Duisburg's Rolf Feltscher only has six caps for Venezuela. Former Mönchengladbach midfielder Juan Arango retired last September with a national record 129, a Venezuelan record 20 of which came in the Copa America.